Wolfs' Books: What Does An Economist, A Fish and Literature Have In Common? 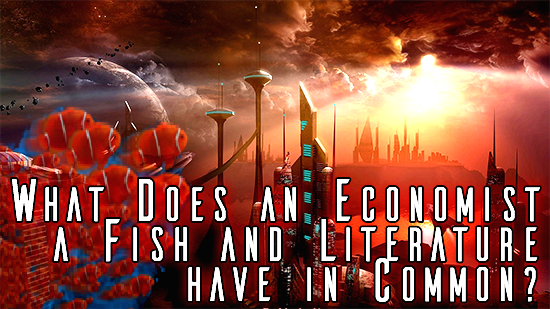 What Does An Economist, A Fish and Literature Have In Common? TL:DR? Want a short concise article about this? Try Sturgeon's Revelation: In Defence Of Science Fiction. I've loved science fiction (SciFi) for as long as I can remember. The stories of spacemen flying around in space ships and fighting off B.E.M's* with ray-guns fired up my imagination more than anything else. But apart from my family only two other people really encouraged me to read science fiction and Fantasy, my Year Six teacher who encouraged my imagination and my Year Seven English teacher who pointed me in the direction of some great classics. Everyone else either dimissed the genre or openly mocked it. "At least sports-ting is something real, McTavish, not like your Buck Rogers stuff!, that's for people who can't handle the real world." "Science fiction is not real literature, this is why we're going to be studying real fiction." ...Real fiction? An oxymoron if I've ever heard one. This is why I was so pleased to learn about Sturgeon's Revelation (or most commonly known as Sturgeon's Law). So What Is Sturgeon's Revelation And What Does It Have To Do With An Economist? Sturgeon's Revelation first appeared in the March 1958 issue of Venture (a science fiction magazine) and is a defence of science fiction as a genre. While the proper citation of Sturgeon's Revelation is "Nothing is always absolutely so." (whatever that means). It is Sturgeon's Law that is in the most common usage which says "ninety percent of everything is crap". Although I believe he used the word 'crud'. This Is Where The Economist Comes In. Purchasing stock was one of my favourite tasks when I worked in a book shop. I enjoyed the challage of Just-In-Time inventory control, getting the delicate balance correct between having the shop full of books and other stock, which would sell quickly. The constant struggle to achieve the magical turn over of 5 consumed my thoughts. I would talk to other shop managers, if I could and read industry articles and economic books on how to achieve this so I could run the book shop well. During this journey I came across the Pareto Principle, this is also known as the 80/20 rule. This principle or rule states that '20% of of the invested input is responsible for 80% of the results obtained. Or 80% of consequences stem from 20% of the causes.' (1) Applied to my role in the book shop it meant that 80% of our sales came from 20% of the stock. That's the stock I needed to focus on. In sports, 20% of sportsmen participate in 80% of big competitions and out of them, 20% win 80% of the awards. In business, 80% of problems can be attributed to 20% of causes. In Information Technology, Microsoft noted that by fixing the top 20% of the most-reported bugs, 80% of the related errors and crashes in a given system would be eliminated. At work, look around you and you'll probably find that you're part of the 20% who does 80% of the work. This principle serves as a general rule not a hard and fast one, the ratios can be moved. For instance it could be 60/40 or 90/10. So What Does This Have To Do With Literature? Books are fatal: they are the curse of the human race. Nine-tenths of existing books are nonsense, and the clever books are the refutation of that nonsense. This Is Where Our Fish Comes In. When people talk about the mystery novel, they mention The Maltese Falcon and The Big Sleep. When they talk about the western, they say there’s The Way West and Shane. But when they talk about science fiction, they call it “Buck Rogers stuff,” and they say “ninety percent of science fiction is crud.” Well, they’re right. Ninety percent of science fiction is crud. But then ninety percent of everything is crud, and it’s the ten percent that isn’t crud that is important, and the ten percent of science fiction that isn’t crud is as good or better than anything being written anywhere. So what Sturgeon is actually saying is that science fiction can stack up with the best of any other fiction genre if you give it a chance. Firstly look around for people who are enthusiastic about the subject and see what they have to say, what they have to recommend. Don't forget to ask questions, if they're taking SciFi (or X) they're willing to provide advice. This is where the internet comes to it's own, and something I didn't have access to when I was growing up. I'm may sound like an old man now when I say this but 'time will tell'. Time will winnow out the chaff. 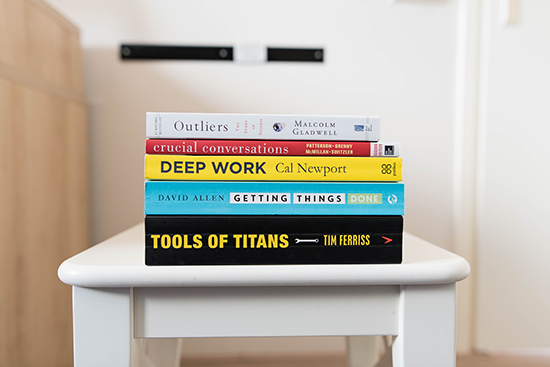 Take a look back at what was on the best sellers list ten years ago and see how many of these titles are actually memorable or ones you would be willing to read again or recommend to someone. In this example I was able to find Amazon.com's Top Ten Customer Favorite Sci-Fi/Fantasy Books of 2006 at TechRepublic, and in it there are only three titles, the bottom three, which are memorable, that I would re-read, or recommend as worth reading in 2016. And of that three only one really stands out is Old Man's War by John Scalzi. (I would definitely recommend that you read this book.) 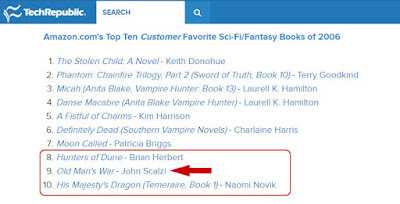 Yet it was not on the Amazon.com's Top Ten Editor's Favorite Sci-Fi/Fantasy Books of 2006. I'll finish off with a quote from C.S. Lewis which may help you with winnowing out the chaff as well. ...and don't forget to read more, think more with your favourite beverage! * B.E.M = Bug Eyed Monsters. (3) not my thoughts, but I've forgotten the source. Let me know if you find it.